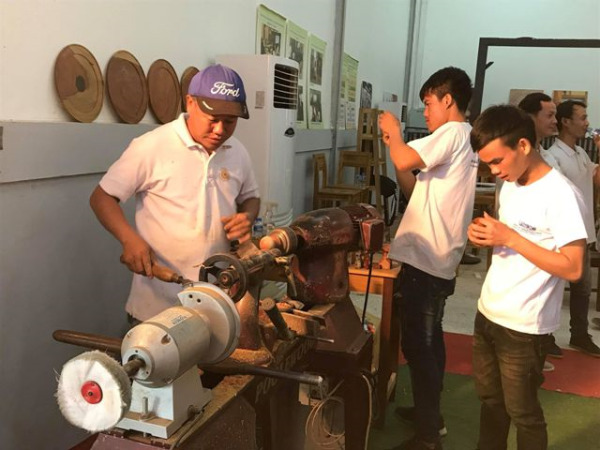 (KPL) Laos, Thailand have promoted cross-cultural craft to strengthen cooperation between skilled sculptors of Laos and Thailand. 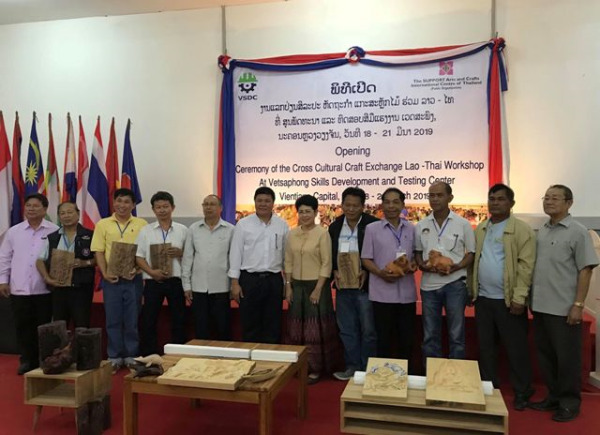 The Lao-Thai Cross-Cultural Craft Exchange workshop was held at the Vatsaphong Skills Development and Training Centre in Vientiane Capital, Laos on Mar 20. Present at the opening ceremony for the workshop were Mr Maysing Chanthaboutdy, the Director of the National Institute of Fine Arts, and Ms Amparwon Pichalai, Chief Executive Officer of the SUPPORT Arts and Crafts International Centre of Thailand (SACICT). 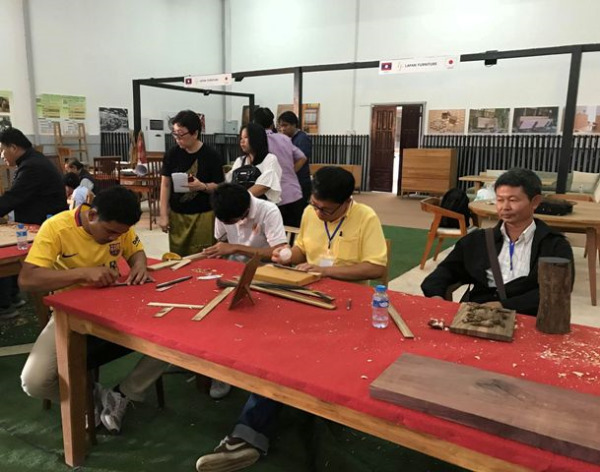 The Lao-Thai Cross-Cultural Craft Exchange workshop is a key to strengthen cooperation between skilled sculptors, especially sculpting teachers, of Laos and Thailand, to develop and promote carved wooden products of Laos and Thailand in ASEAN region, said Mr Maysing. “In Laos, there are many producers and sellers, but buyers are limited in number because of a number of reasons such as low purchasing power and small population in the country. Therefore, the sales of these products mainly depends on the demand of foreign customers, and growth in tourism industry,” he said.